On a worldwide basis, there are probably thousands of different types of cheeses produced and consumed. As Charles De Gaulle, the former French president, famously lamented, there are hundreds of different cheeses made in France alone1. Anyone who has visited a fro-mageri in Paris or a formaggio in Milan (or perhaps the National Cheese Emporium in England; Box 5-3), can certainly appreciate the incredible variety of cheeses that are available. How could there be so many? Are the procedures for making cheese so complex as to allow for all the cheeses produced? In reality, the basic manufacturing steps for all cheeses are surprisingly similar. However, it is the almost unlimited number of variables that exist at each of these steps that ultimately account for the myriad number of different cheeses. Described below are the various ingredients and manufacturing steps that are used in cheese making, with an emphasis on those variables that distinguish one type of cheese from another. As shown in Figure 5-5, the first variable starts with the milk itself.Although most cheeses are made from cow's milk, many cheeses are made using milk from other sources. For example, Feta and Chevre are ordinarily made from goat milk, Roquefort and Romano are made from sheep milk, and Mozzarella is often made from the milk of water buffaloes. These milks have dramatically different gross compositions from bovine milk; in particular, they all contain more fat (water buffalo and goat milk contain nearly twice as much). However, even the composition of cow's milk varies according to the breed of cow, the nature of the feed consumed by the cow, and even when the milk was obtained (i.e., morning versus evening). Moreover, in cheese making, not only does the gross composition affect cheese properties, but so does the specific composition of each of the milk constituents.The lipid portion of goat milk, for example, contains a higher percentage of volatile, short-chain fatty acids, such that rancid flavor notes are most evident when the triglycerides are hydrolyzed by li-pases. The fat content also has a profound influence of other properties of cheese. Fat not only contributes to the body and texture of cheese, but it also serves as substrate for important flavor-generating reactions performed by microorganisms. Also, many of the flavor constituents derived from non-lipid substrates that form during cheese ripening are soluble in the lipid phase. 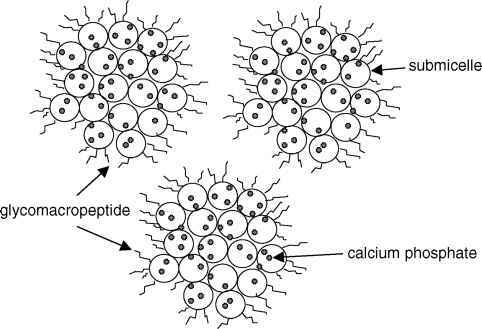 For example, hydrophobic pep-tides derived from casein hydrolysis (many of which are bitter) are found in the fat portion of the cheese. More than forty different types of cheese are mentioned, making it, for cheese science students, at least, the most educational television sketch ever presented. OWNER: Good morning, sir.Welcome to the National Cheese Emporium! CUSTOMER:Ah, thank you, my good man. OWNER:What can I do for you, sir? CUSTOMER: I want to buy some cheese. OWNER: Certainly, sir.What would you like? CUSTOMER:Well, eh, how about a little red Leicester, sir. OWNER: I'm afraid we're fresh out of red Leicester, sir. CUSTOMER: Oh, never mind, how are you on Tilsit? OWNER: I'm afraid we never have that at the end of the week, sir, we get it fresh on Monday. CUSTOMER:Tish tish. No matter.Well, stout yeoman, four ounces of Caerphilly, if you please. OWNER:Ah! It's been on order, sir, for two weeks.Was expecting it this morning. CUSTOMER: 'Tis not my lucky day, is it? Aah, Bel Paese? OWNER: Sorry, sir. CUSTOMER: Red Windsor? OWNER: Normally, sir, yes.Today the van broke down. CUSTOMER:Ah, Stilton? OWNER: Sorry. CUSTOMER: Ementhal? Gruyere? OWNER: No. CUSTOMER:Any Norwegian Jarlsburg, per chance? CUSTOMER: Danish Brew? OWNER: No. CUSTOMER: Double Gloucester? OWNER: No. CUSTOMER: Cheshire? OWNER: No. CUSTOMER: Dorset Bluveny? OWNER: No. CUSTOMER: Brie, Roquefort, Pol le Veq, Port Salut, Savoy Aire, Saint Paulin, Carrier de lest, Bres Bleu, Bruson? OWNER: No. CUSTOMER: Camembert, perhaps? OWNER:Ah! We have Camembert,yes sir. CUSTOMER: (surprised) You do! Excellent. OWNER:Yessir. It's . . .ah,. . .it's a bit runny . . . CUSTOMER: Oh, I like it runny. OWNER:Well,. . . It's very runny, actually, sir. CUSTOMER: No matter. Fetch hither the fromage de la Belle France! Mmmwah! OWNER: I . . . think it's a bit runnier than you'll like it, sir. CUSTOMER: I don't care how blinking runny it is. Hand it over with all speed. CUSTOMER: Smoked Austrian? OWNER: No. CUSTOMER: Japanese Sage Darby? OWNER: No, sir. CUSTOMER:You ... do have some cheese, don't you? OWNER: Of course, sir. It's a cheese shop, sir.We've got— CUSTOMER:No no ... don't tell me.I'm keen to guess. OWNER: Fair enough. CUSTOMER: Uuuuuh,Wensleydale. OWNER:Yes? CUSTOMER:Ah, well. I'll have some of that! OWNER: Oh! I thought you were talking to me, sir. Mister Wensleydale, that's my name. CUSTOMER: Paper Cramer? OWNER: No. CUSTOMER: Danish Bimbo? OWNER: No. CUSTOMER: Czech sheep's milk? OWNER: No. CUSTOMER:Aah, how about a Cheddar? OWNER:Well, we don't get much call for it around here, sir. CUSTOMER: Not much ca—It's the single most popular cheese in the world! OWNER: No 'round here, sir. CUSTOMER: And what IS the most popular cheese 'round hyah? OWNER: 'Illchester, sir. CUSTOMER: Is it. OWNER: Oh, yes, it's staggeringly popular in this manusquire. CUSTOMER: Is it. OWNER: It's our number one best seller, sir! CUSTOMER: I see.Uuh ... 'Illchester, eh? OWNER: Right, sir. CUSTOMER:All right. Okay. 'Have you got any?' he asked, expecting the answer 'no.' OWNER: I'll have to look, sir ... nnnnnnnnnnnnnnnno. CUSTOMER: It's not much of a cheese shop, is it? OWNER: Finest in the district! CUSTOMER: (annoyed) Explain the logic underlying that conclusion, please. OWNER:Well, it's so clean, sir! CUSTOMER: Have you got any Limburger? OWNER: No. CUSTOMER: Figures. Predictable, really I suppose. It was an act of purest optimism to have posed the question in the first place. Tell me: OWNER:Yes sir? CUSTOMER: Have you in fact any cheese here at all. OWNER: No. Not really, sir. OWNER: No sir. Not a scrap. I was deliberately wasting your time, sir. CUSTOMER:Well, I'm sorry, but I'm going to have to shoot you. OWNER: Right-O, sir. The Customer takes out a gun and shoots the owner. CUSTOMER:What a senseless waste of human life. milk adjusted to 3% fat (e.g., Swiss cheese) or less (part-skim Mozzarella). In part, this is because the body characteristics of certain hard cheeses, for example, Swiss and Parmesan, require less fat and a higher casein-to-fat ratio. In contrast, some cheeses are made from milk that is enriched with cream, such that the fat content of the cheese (so-called double cream cheese) will be 60% (or even 72% for triple cream cheese). Another key variable involves the handling of the milk, and in particular, whether the milk has been heated or not. In the United States, all unripened cheese (aged less than sixty days) must be made from pasteurized milk, whereas only aged cheese (held for more than sixty days at a temperature not less than 1.7°C) can be made from raw milk. In many other parts of the world, including France, Italy, and other major cheese-producing countries, there are no such pasteurization requirements, and even fresh cheeses can be made from raw milk (unless they are to be exported to the United States— then they must conform to U.S. requirements).